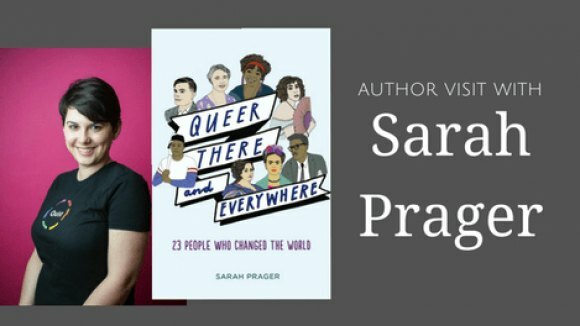 Here, There and Everywhere, awareness and acceptance of alternative sexuality has grown in recent years, and Sarah Prager's book about queer history, aimed at a young audience, has helped bring her message to Roosevelt Island. 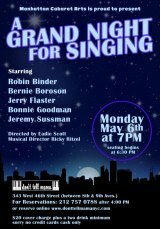 In a program jointly sponsored by our local branch of the New York Public Library, Main Street Theatre & Dance Alliance along with RIOC, Prager will "share the stories of people who fought, created, and loved on their own terms." Based on research for her book, Queer, There and Everywhere, Prager's talk, like the book, misleadingly subtitled 23 People Who Changed the World, intends to educate middle and high school kids about often ignored and/or censored history. Some of what Prager's written goes out on a shaky limb that may be more inspired by sensation than facts. Her unqualified insistence that both Eleanor Roosevelt and Abraham Lincoln carried on long term homosexual relationships, for examples, is far from a consensus opinion among better qualified historians. Arguments have gone back and forth on both for decades, and the prevalence of sexual alternatives in history is already a given without the big names. Sarah Prager will give her free talk about queer history on Tuesday, April 9th, in the Cultural Center. Come as you are. Reservations are not required.